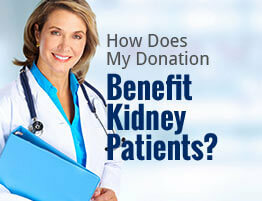 Your gift of used clothing and household items to American Kidney Services is a tax deductible donation*. This means that you can report your donations as itemized deductions* on your income tax return. We are a federally approved 501 (c)(3) charity that has been operating since 1981, and we make it easy for our generous donors to take advantage of tax benefits. Simply follow the steps below to obtain your official AKS tax receipt. Gather used clothing and household items from your home or office. Make a list that inventories each item you wish to donate. Some donors even take photos of their tax deductible donation items for documentation purposes. Use the online clothing valuation form on our website to help you determine the approximate value of each item. For valuation of household items, check the IRS guidelines or compare values of similar items at thrift stores. Follow the AKS donation pick up or donation drop off procedures. If you schedule a pick up, the truck driver will automatically leave a tax receipt. If you drop your donation off at any of our donation centers or any Value Village location, we can provide a tax receipt. Keep your inventory list, your tax receipt, and the estimated value of your donation on file. Your tax deduction* can then be claimed when you file your income tax return. American Kidney Services is a local non-profit organization that has been collecting clothing and used household items from Atlanta area donors for nearly three decades. All of the proceeds we generate from your tax deductible donations go directly to organizations that provide financial aid for kidney disease sufferers. By donating used men’s, women’s, and children’s apparel, books, collectibles, silverware, electrical items, small kitchen appliances, glassware, and more, you can help fight the battle against this debilitating illness. Donate today.